Last week I went up to San Francisco for the Winter Fancy Food Show. 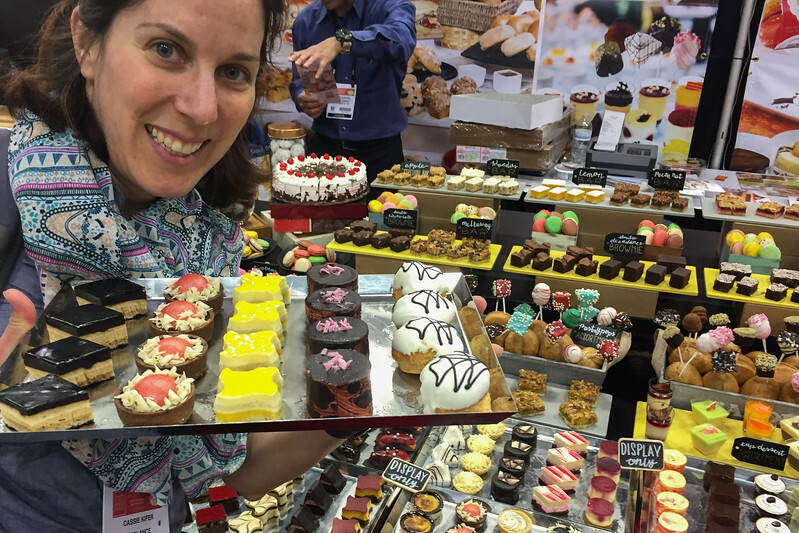 This annual trade show draws more than 1,400 food companies from 30 countries who come to SF to show off their newest food products to the retail and hospitality vendors and food media. Last year, I spent a lot of time at the conference and shared my culinary travel inspiration. This year, I only had a few hours to spend there so I only had time to discover a few new things and ruin my dinner by filling up on samples. Drinking Vinegar + Kombucha: I’m a big fan of “shrubs” and “drinking vinegar,” tart, vinegar-based fermented meant to be added to seltzer water, as a cocktail mixer, or alternatively, as a health tonic. The artisan vinegar industry seems to be growing and there were dozens of companies at the event showing off tangy flavored vinegar. 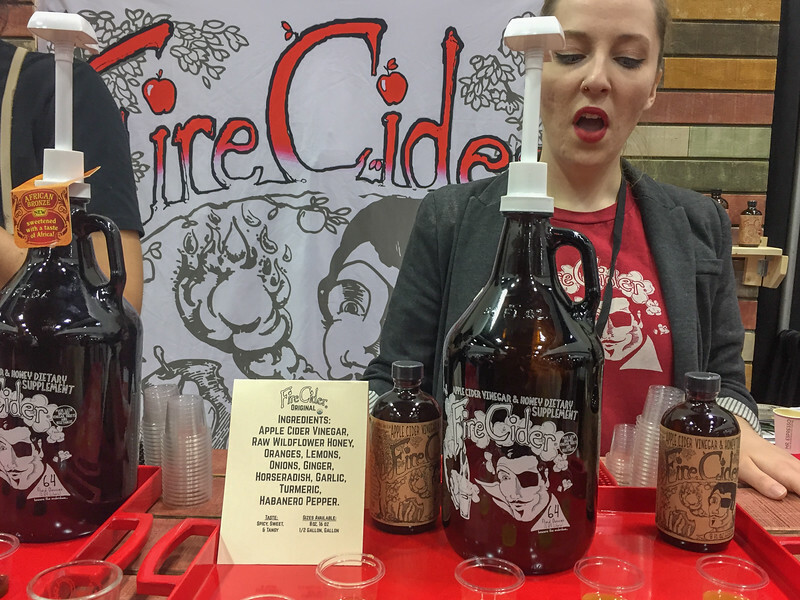 Brands were showing off kombucha in ever flavor you can imagine and promoting lesser-known grain-fermented probiotic beverages like kefir and rejuvelac. Korean Everything: Korea is hot right now. Korean spices, ferments, and flavors were going mainstream. Some interesting things I spotted: D’Allesandro Spices was showing off powdered Gochujang, the fermented Korean chile paste that’s in almost every Korean dish. I thought that would be a convenient way to keep this important flavor on hand for when you don’t have or can’t get the fresh paste. 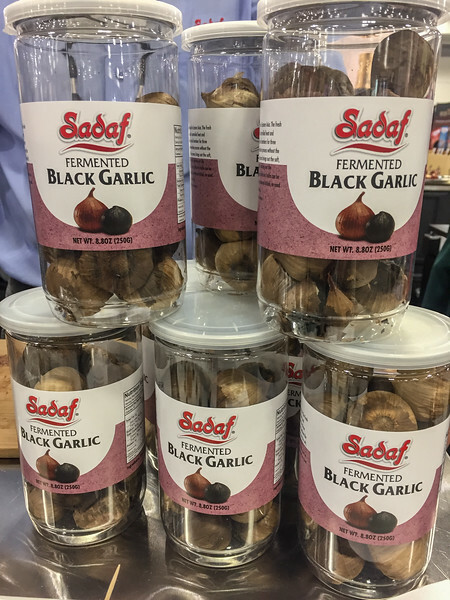 And food importer Sadaf was promoting black garlic, a 10+ day heat fermented garlic that is common in Korean cuisine. I made black garlic myself at home recently and it’s a huge pain so I’m all in favor of buying it. 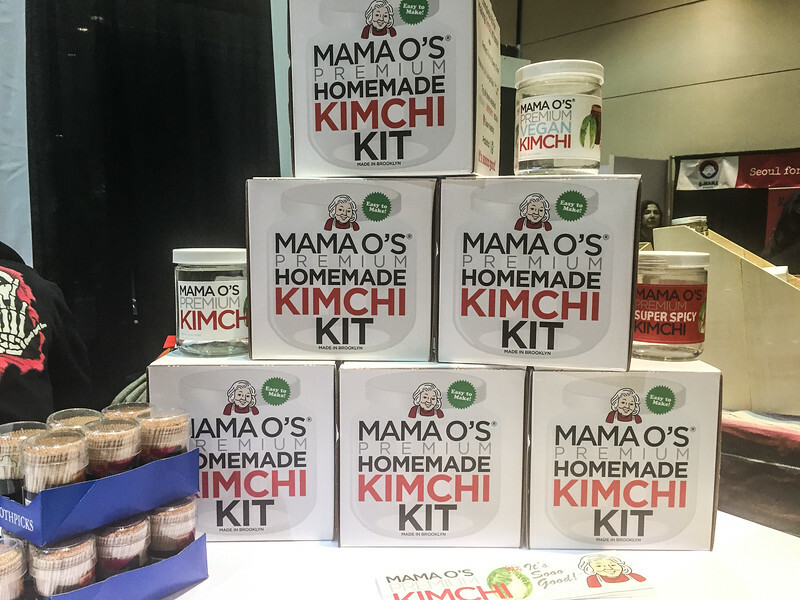 Mama O’s was selling a DIY kimchi kit. Beer in Food: Companies are cashing in on our growing love of craft beer and finding unique ways to introduce beer to food. Belgian cheesemaker, Kaas Bruge Fromage, was showing off a tasty cheese that had been aged in a vat of Rodenbach beer. It was amazing how much the malty flavors infused throughout the cheese. The company ReGrained (motto “Eat Beer”) has a sustainable mission. 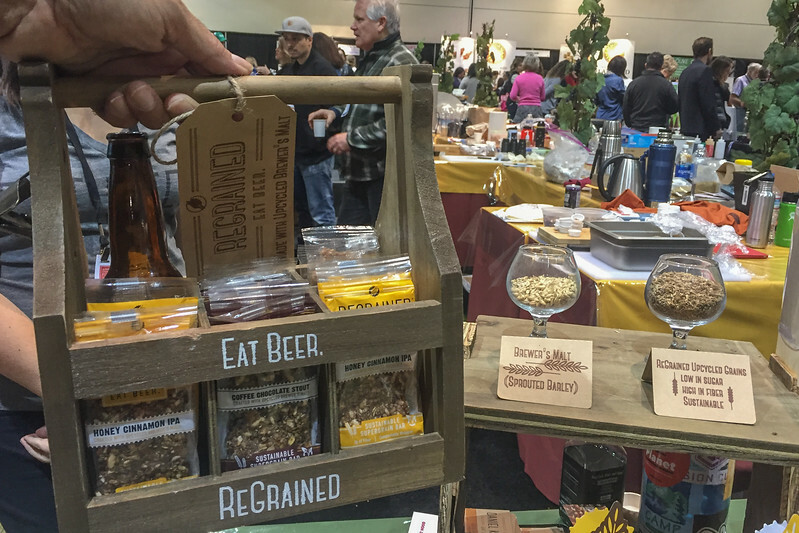 They make granola bars from “upcycled” (spent) brewing grains, which normally go to waste. DIY: I noticed this last year: The do-it-yourself (DIY), homemade food crafts trend continues. 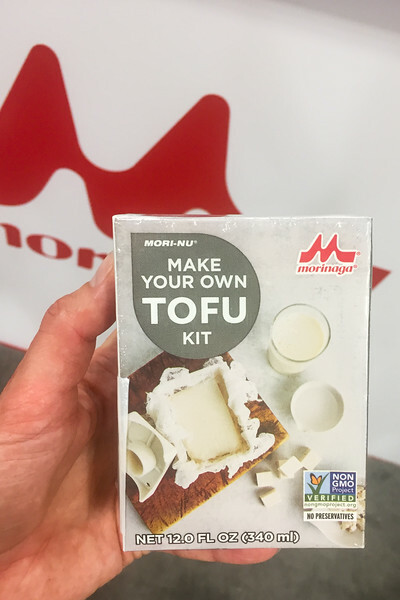 Vendors were showing off homemade cheese making kits, beer brewing kits, mushroom foraging kits, kimchi-making kits (pictured above), and even this homemade tofu kit. 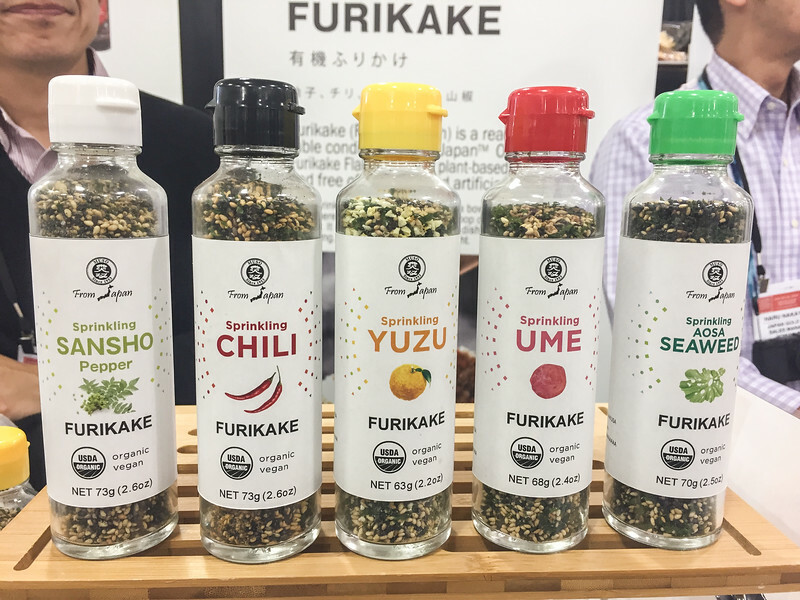 This new brand of Japanese spice blends from Muso/Japan Gold USA. They are all organic certified and tasted fresh and flavorful–much higher quality than the Japanese spice blends I buy at my local Japanese grocer. 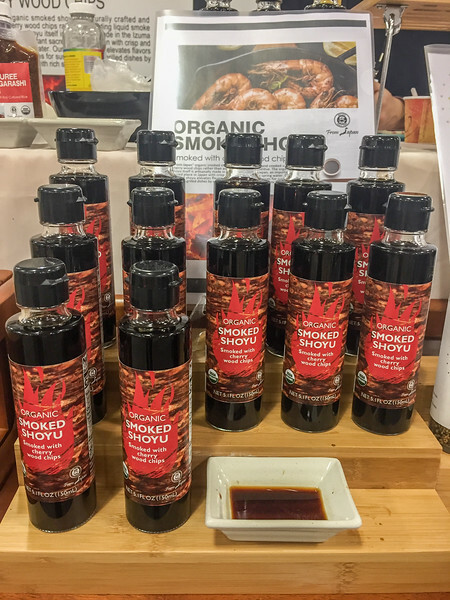 They also make a smoked shoyu, that I thought was really unique. 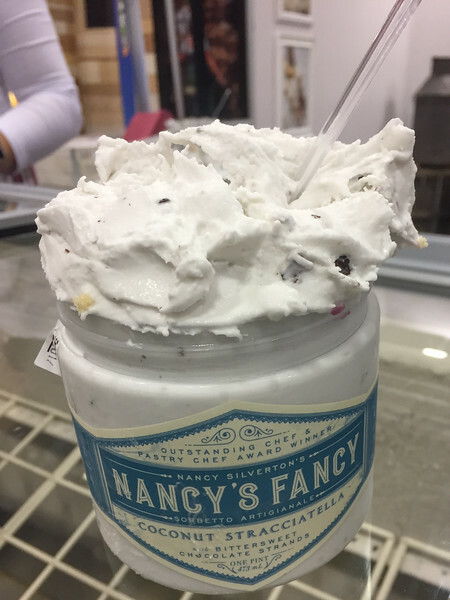 A new brand of artisan gelato from award-winning pastry chef Nancy Silverton. The coconut stracciatella was so thick and rich, you wouldn’t guess it was vegan. 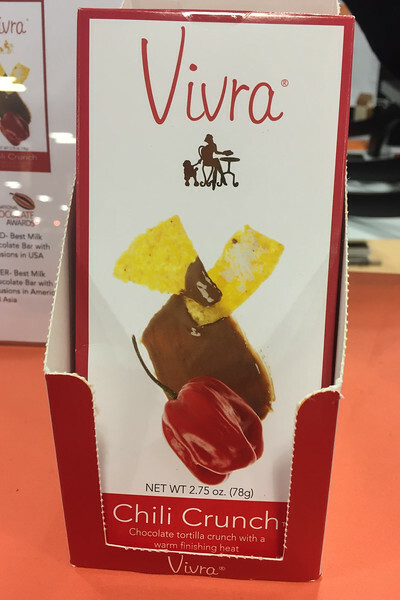 A (delicious) combo I’ve never seen–tortilla chips, chile, and chocolate! By Vivra chocolate bars. 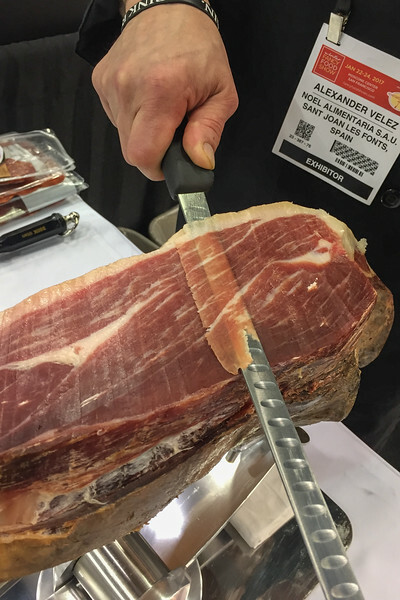 This beautiful Spanish ham from a company called Noel Alimentaria. I took this great photo of my friend Noel Morata (from Travel Photo Discovery) next to his namesake sign. Kevin was jealous he couldn’t come. I love the convenience of Keurig single-serving machines, but I don’t like how wasteful they are. 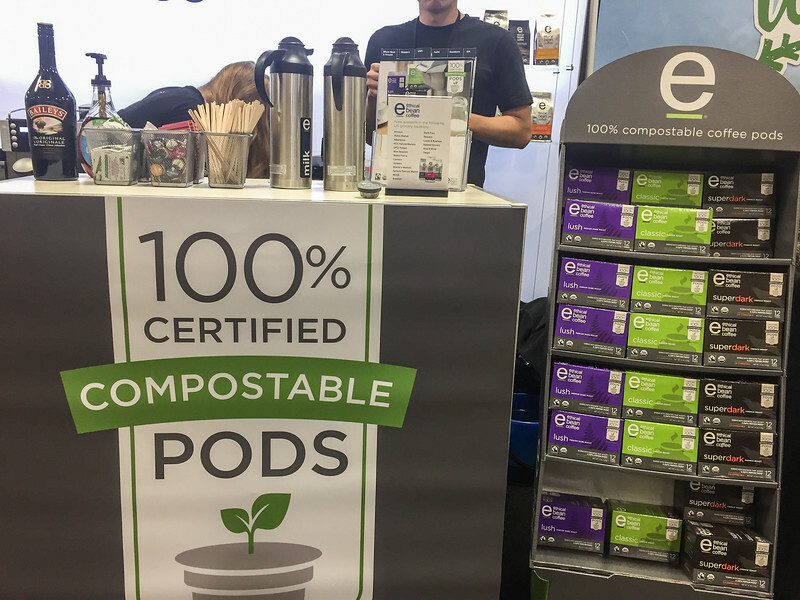 I loved to see these compostable coffee pods. Some other interesting flavors. 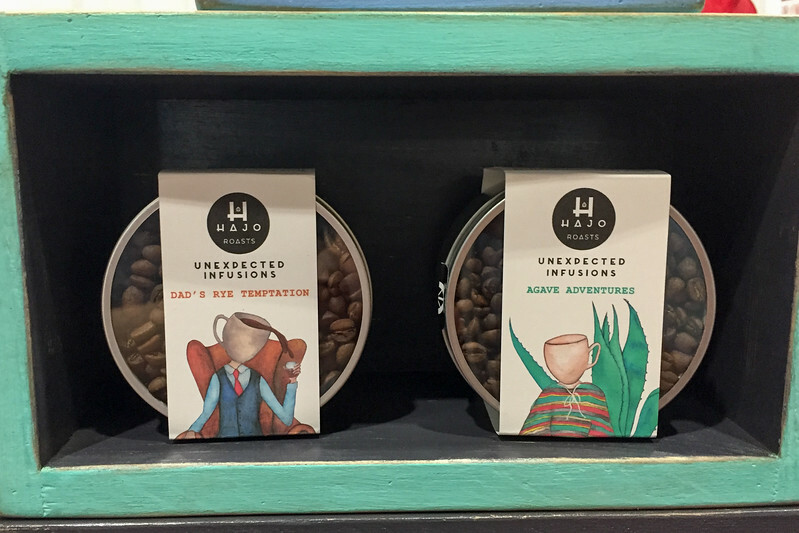 Hajo Roast, making coffee beans aged in boozy barrels–one used for aging rye whiskey, and the other for aging blue agave or tequila. 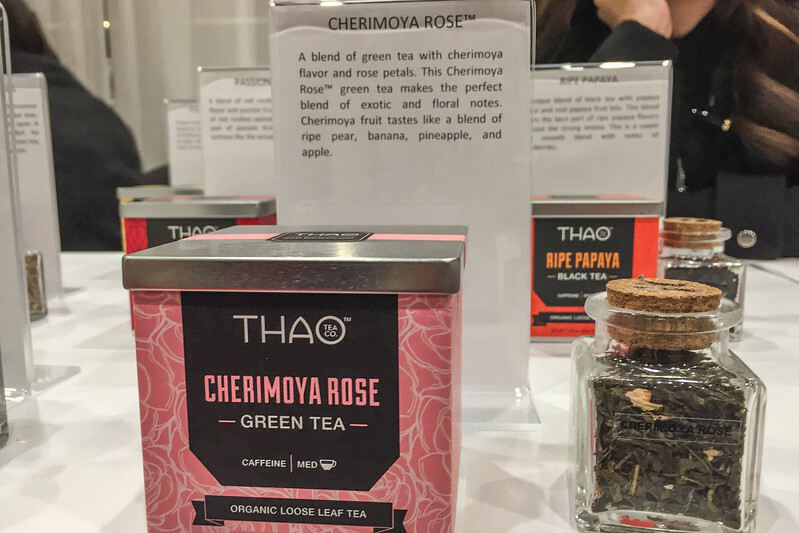 Thao Tea Company is making some really fragrant and unique tea blends like this cherimoya rose and a cantaloupe mint. 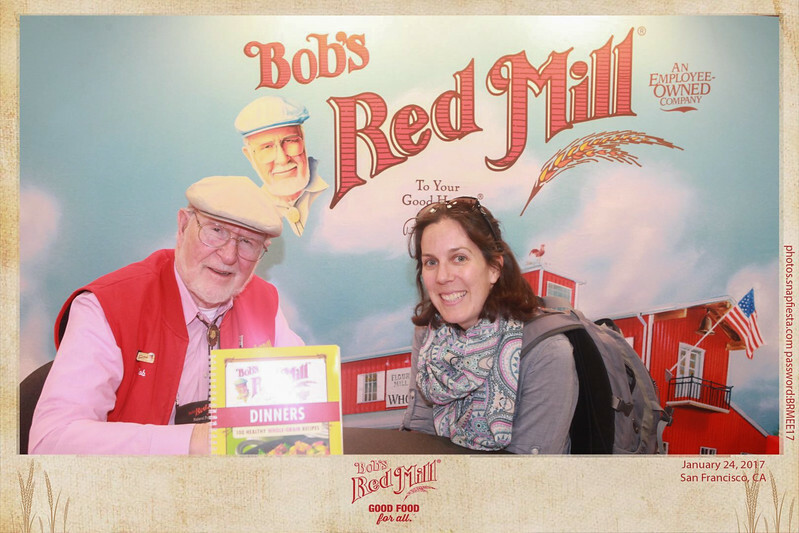 And last but not least, I got to meet THE Bob from Bob’s Red Mill flour. 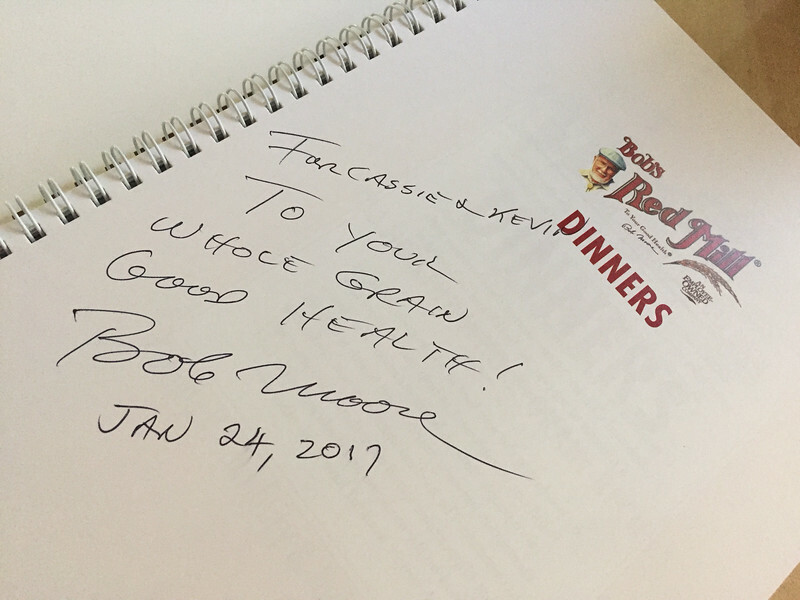 He signed a cookbook for me!